Where is Nepal Actually Geographically? Nepal land locked country that lies between Giant Country India and China. The Sovereign and peaceful country, Nepal is covered by India in three side, east, west and South and one Northern side by the Great country China. Geographically, Nepal stands between China and India at 26° and 31°N latitudes and 80° and 89°E longitudes. Nepal measures 885 kilometers from East to West but the breadth differs from 145 to 241 kilometers from North to South. Nepal has unique variation in its altitude as it about 200 meters (658 ft) in South to over 8,848 meters (29,028 ft highest point in the Earth) above sea-level in North. Not only this, with area of 147, 181 Sq is 94th largest country in World. Geological location of Nepal is, it situates just above the Great collision region of Indian subcontinent and Eurasia plates. Top level internet domain for Nepalese sites: .com.np. What are Physiographic regions of Nepal? 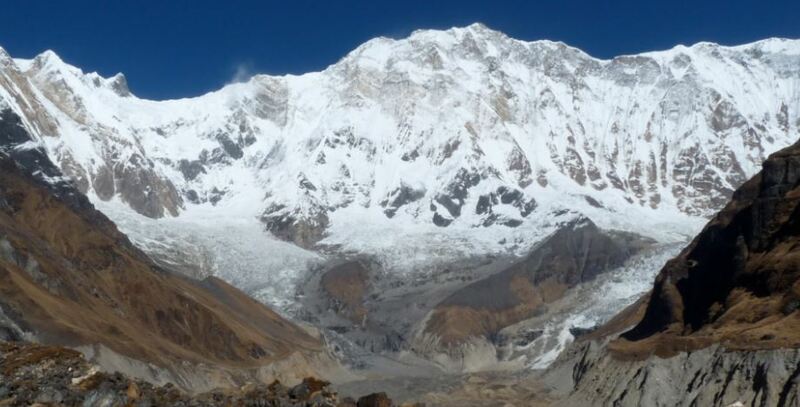 The Himalayan region is in the Northern side which begins with altitude range of 4,877 meters to 8,848 meters. This, region covers the Snowy part and includes the almost all mountain ranges of Nepal. Also, this region occupies about 25% of total land of Nepal. This region is home for the hundreds of mountains including the top 8 tallest mountain out of 10. Just Below the Great Himalayan region, there lies Hilly region. This region is band of mountains named Mahabharat range that hills up to 4,877 meters from 1,500 meters. While talking about this region, this Hilly part almost occupies the 64 percent of the total land area of Himalayan country. 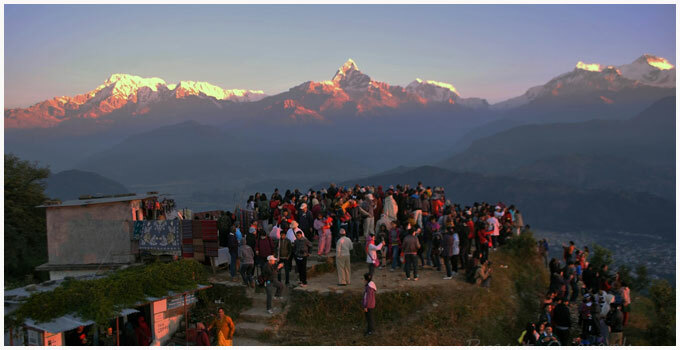 Known as the Grainy of Nepal, this region lies jut Below the Mahabharat range. Most of the fertile land lies in this area occupying only 16% of total area of Nepal. The Young Sivalik hill lies in this part. In summer during Summer and monsoon there is plenty of rainfall while is winter there is extreme cold in Terai and Himalayan. 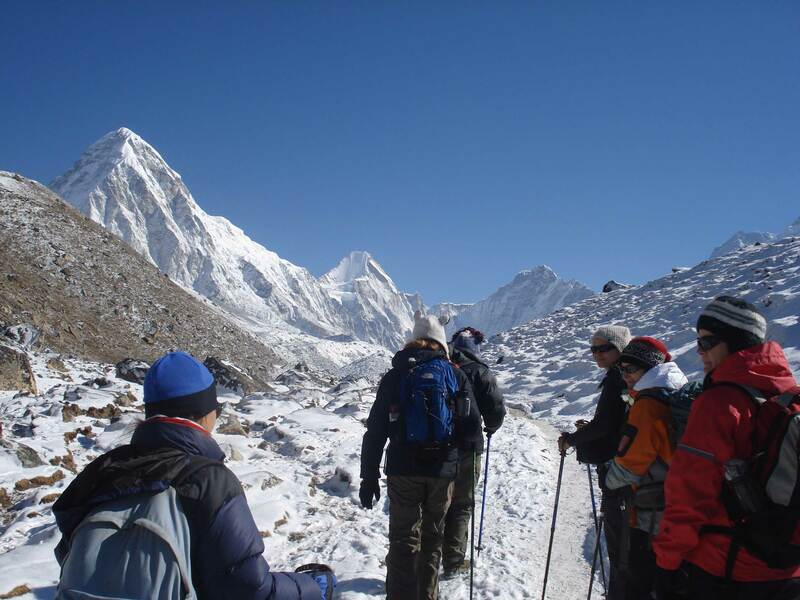 Most of the Trekkie routes are stooped during this winter due to the strong storm and snowfalls in the Himalayan region. About 80% of the Nepalese people practice Hinduism dominating other religions. However, It is peace land of Lord Buddha only 10% of people practice Buddhism. Islam, Christianity and Jains are other religions that Nepalese people follow. Nepal is agricultural country and its major products are Tea, rice, corn, millet, wheat, sugarcane, jute, and tobacco. Nowadays Nepalese are practicing new crops using the modern technologies. Although the national food of Nepalese is Dal bhat tarkari (rice, lentils and vegetable curry). But with the increment of Tourism, other international foods as Tibetan cuisine, Indian and continental foods are also gaining popularity. Nepal is home for only living Goddess, Kumari. Famous Singer Bob Seger wrote and sung a song called Katmandu in 1975. “Its Better to die than to be a coward” is the world famous motto of the Nepalese Gurkha soldiers. National animal of Nepal is Cow and killing cow for meat is strictly prohibited. Apa Sherpa scaled Mount Everest 21 times which is a World record. We can solve your problems regarding Where is Nepal?